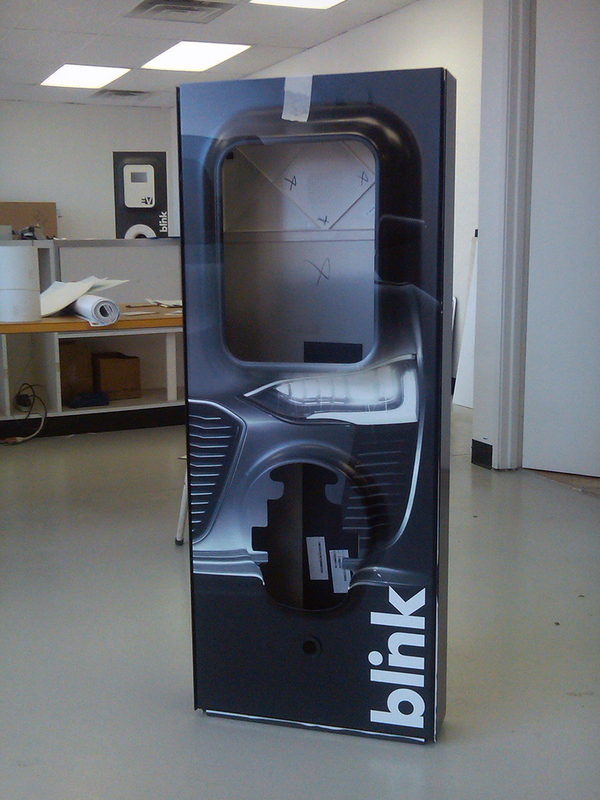 Tornado was asked by ECOtality to create a branding program for ECOtality’s line of Blink electric vehicle chargers. The goal of the program is to brand Blink chargers with customers logos and other visuals. 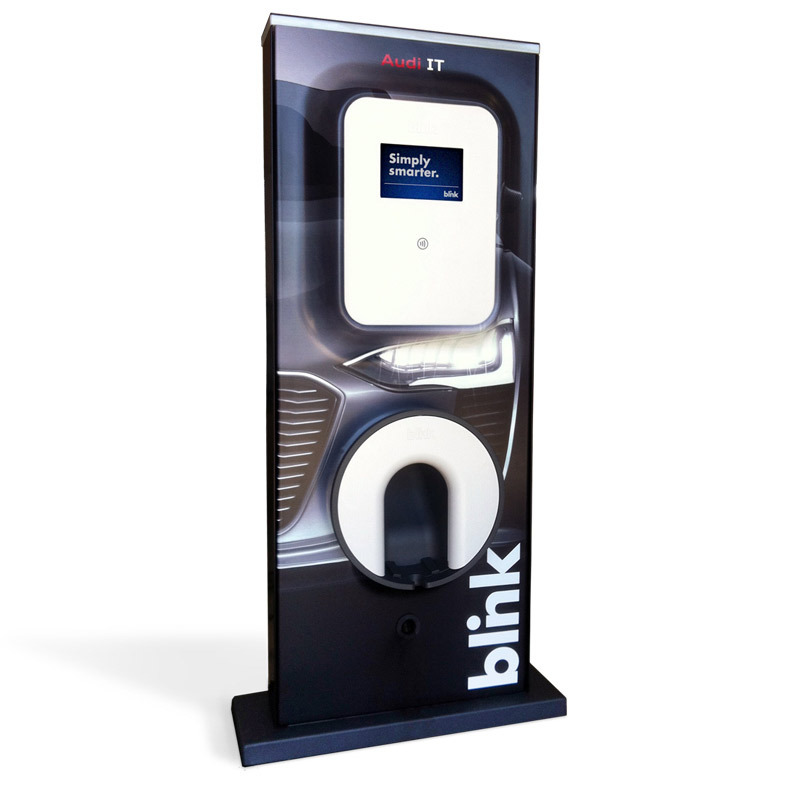 The Blink Network of chargers consists of residential and commercial chargers, and we created wrap branding for all of their products and for more than a dozen customers. Wrap graphics are printed using the same weather-resistant materials as vehicle wraps and are applied as two pieces (front, and back with sides). 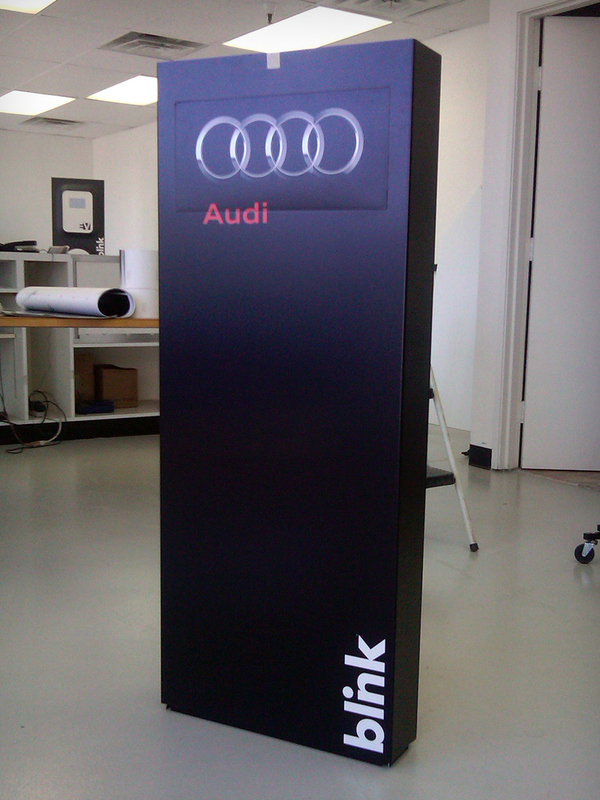 these photos show the Audi graphics being applied to one of the short pedestal chargers (ADA height). Tornado coordinated all of the printing and wrap application process working with a local vendor. Wrapping the chargers was not all we did, we also created graphics to compliment the charger such as marketing materials, RFID access cards, and branded screens for the touch screens. These Audi branded chargers can be seen at Audi dealerships as well as installations at the Audi headquarters in Ingolstadt, Germany. Below is a photograph on white background showing the finished wrap EV charger.